Why customer service is becoming a differentiator for Store Performance in the any customer facing Industry ? Customer service and cross selling are vitally important differentiators across the many services industry, and customer experience drives loyalty and cross-product holdings. The challenge is to develop a customer experience model that treats each customer as an individual and maintains satisfaction and loyalty levels that drives a customer back to the service point and enables customer monetization. Recently I was at a upscale coffee shop where I ordered a Chai Latte. The brew was pre mixed with sugar and the the person serving was unaware of the same and pointed me to where the sugar was kept and luckily I tasted the brew before I was going to add some sugar. I would expect something as basic as this to be handled by a person who knows what he is selling but alas for a INR 170 brew that still was not the case . In another case a bank rolled out a new feature set on their web application and the person doing training for us seemed to have no clue on what and how did the new set of features behave and what data sets were pre requisites etc and our employees were in fact training this banking employee which was quite funny. Some of the best employees out there are positive thinkers, driven by research and never-ending curiosity to discover fast-growing markets, new technologies, and new techniques to make them succeed in the competitive service industry. The making of a great service or sales person is no easy task; we are constantly dealing with the changes in the sales and service world. The world is no longer the one we have learned to live in. The challenge of directly linking branch level customer service to profits has been understood though efforts to improve customer service and cross product sales have not been measured conclusively. However, there was is a common belief that customer experience would remain a key battle ground for many industries going forward and bench marking customer service would become a more common process when developing a perfect customer experience model. High levels of employee engagement will facilitate the delivery of improved levels of sales and customer service. For example in banking with the branches becoming one more channel than the prime channel due to proliferation of online channels, attention on employee engagement has to be treated as a strategic task that can change the profitability of these companies. 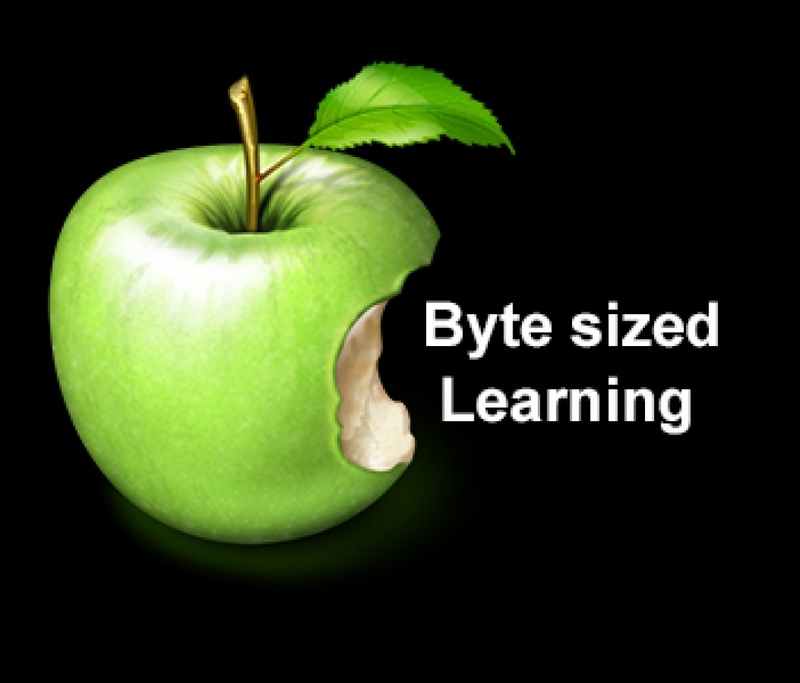 The key problem today is these employees don’t have time to be properly trained and when they do have time during less busy days companies are not able ensure they can do BYTE sized learning to upgrade their capabilities. Customer service training can be encouraged in non-formal settings supported by strong touch point-level observation and feedback. A significant number of companies also operate some form of reward and recognition scheme based around the branch customer service experience. So, what do we do? How do we make sure that the teams are most aptly prepared salesman or customer service folks for today’s changing world? The answer lies in continuous training but maybe in short bursts called Micro learning. In the sales world, some may refer to it as ‘in-field coaching’. It has the same concept as on-the-job training that we know so well where we have a Buddy to guide and refresh us – Our Daemon Knowledge Learning and Information Platform (KLIP) can help to improve your online sales learning or the customer service training and also ensure that on-field experiences translate into learning materials that can be accessed by all employees anytime, anywhere. Our research finds that few companies have a structured ongoing training program for new joiners and almost no framework for ongoing customer engagement and domain based skill upgrade programs and training for current sales and service employees. There is regular product or service training but it always in the end comes to “Smile and be Nice” as the key training message. The employment of part-time resources to back fill the absentee roles and also some full-timer roles also results in bad customer service. There is no time to train part-time resources, and they have been put on the job with hardly any training. Yes, there are challenges to ongoing employee training as they work a 10-hour shift and employees often complain they have no time or inclination for training before or after their shift. There have been attempts to put a formal training process for new associates in larger conglomerates, and they have programs built for different customer and branch operational situations. The success rates have been mixed and there have not been any significant levels of increased branch performance that has been observed because even though the intent and content may be there the INCENT is missing. Gamification has been used by companies to engage their customers for some time now, using social media and mobile technologies to deliver contests, challenges and rewards. Now, however, enterprises are beginning to uncover the value that games can add inside the organization to drive business performance by training and motivating employees. Growing seriousness about Gamification marks a dramatic change in the way enterprises engage with their sales employees for higher customer service.ELearning can help you deliver savings upwards of 50% on training spend and cut down instruction time by 60%. Imagine up skilling your workforce without having to send them to a venue and suffer missed days’, while training them up quicker. Constantly train all your front line employees on new products and offerings besides your regular sales training for your sales folks. At a time when the social media is transforming the enterprise, Gamification is emerging as the software component that binds employees, organizational values and objectives. Gartner predicts that 50 percent of businesses will use Gamification by 2020 to encourage staff to be more dedicated and innovative when managing customer relationships. By 2018, more than 70 percent of Global 2000 organizations will have at least one gamified application in employee engagement areas. How to reduce issue resolution time? How to spot an opportunity in customer conversations? How to promote self-service in certain customer segments and product categories? How to track customer’s feedback and associate it with front line customer associates? How to inspire employees to help others? How to understand customer needs and requirements? How to suggest the right product at the opportune time ? How to promote specific product categories and segments? How to inspire employees to help sales and get rewards ? Apart from the above challenges, rewarding front-line customer care executives for prompt and pre-emptive problem resolution and recognizing customers for their help in enhancing customer service are some other challenges faced by organizations, and it can be tackled successfully by adding Gamification elements in their training engagements. Enterprises realize the need to have a Learning Management Platform with an ability to integrate Gamification and provide for a seamless training experience. Points are the most basic form of Gamification; the exact equivalent of “keeping score” in a game. You might be wondering why you’d need to use Points for this, since a typical LMS already has Grades, but the two serve different purposes. While grades are meant to measure academic performance, points can be used to encourage user engagement in general just as small incentives and rewards motivates one to go to the next level (e.g. by being awarded when one completes a course, for each login to the Learning Management System, etc.). A gamified LMS lets you fully configure the occasions in which points are awarded. Users are informed of the points they receive via a non-intrusive popup message and can check their total tally at any time in the header and measure themselves against peers. Levels are like ranking up in the army or getting a promotion at work. In Gamified LMS all users start at level 1 and progress from there, and getting to a higher level makes more courses available just as it is used in actual video games (courses unavailable to a user because of level restrictions are shown with an “Unlocked on level X” label). Leader boards is just a Gamification name for a “high score”. A leader board is basically a page that offers a visual depiction of the user’s ranking under various metrics (Points, Badges, Certifications, etc.) compared to fellow learners; including the very best (“high scores”) and others immediately above and below them. Gamification based LMS can’t just be a light layer sitting atop a website or intranet portal, with social rewards being served up to any associate. Associates should be rewarded for interacting with the LMS in positive ways–like sharing, commenting, chatting, and complimenting peers into the LMS platform. And the only way for that to happen is if the game mechanics of LMS are actually able to interact with your other social functions. It’s not an easy task and requires an in-depth understanding of your business goals, objectives, applications, processes, transactions, social elements such as a system of rewards, recognition to be developed. Having meaningful reports and analytics is critical for the success of Gamification. Analytics play a vital role in analysing the overall performance of an employee, a branch or a region and it provides inputs to the L&D teams to improve Learning strategy. It also maps the output derived from the Gamification with the overall organizational goals and demonstrates the success factors and emerging trends. Analytics also offers pointers on the areas which needs improvement and can be considered for future implementation. Provide a learning culture that results in better customer experience and unabated sales. We’d love the opportunity to demonstrate how our LMS can help your business. Please write to us at sales@dameon.co.in or call +91 80 42101166 to learn more. A bank rolled out a new feature set on their web application and the person doing demo training for us seemed to have no clue on what and how do the new set of features behave and what data sets were pre requisites etc and our employees were in fact training this banking employee which was quite funny.